Background: In the recent Employee survey, when the question was asked “ Everyone here is treated fairly regardless of race, gender, age, ethnic background, disability, sexual orientation, or other differences” only 43% of women agreed and 59% of men agreed. Metro wants to be a diverse and inclusive agency. At Metro we want to create and foster a supportive and understanding environment in which all individuals realize their maximum potential, regardless of their differences. And we are committed to employing the best people to do the best job possible. Through this initiative we want our employees to know that each employee brings their own unique capabilities, experiences and characteristics to their work and Metro values such diversity at all levels of the agency. Goal: The goal of the initiative is to provide guidance to the agency to ensure we have an inclusive working environment. Employees can be themselves at work and no one feels left out because of their age, gender, disability, race, religion or belief, sexual orientation, or other factors such as social background, skills and qualifications, where they live and work, their appearance, thinking styles, education, their life and work experiences, personality, abilities, and family and caring responsibilities. June 2018 Volunteer Diversity Pledge Issued; Ongoing, 857 employees have signed the pledge. We will continue to promote the pledge through posters throughout the agency, annual reminder emails, and the pledge is posted on OCEO internal webpage. During the upcoming D&I listening sessions, we will provide access for contract employees who would like to take the pledge but don't yet have access to email. November 2018 Employee D&I Listening Sessions at every work site: Negotiations are being finalized to bring a facilitator on board to conduct listening sessions. Anticipate listening sessions to begin November 2018, starting with the Operations Department. Background: 55% of Metro bus riders are women and 47% of Metro rail riders are women so it is important for Metro to understand women’s travel patterns so that we can ensure that their needs and travel patterns are incorporated into the transportation planning and service delivery, bus stop design and transit operations. Currently we do not have sufficient data on how women are traveling on our system. For this reason, it is hard to understand gender differences for making trips, trip frequency, distance travelled, mobility related problems in accessing services and employment. Recommendation: Metro gather & analyze data by gender and develop a Gender Action Plan This will be done by disaggregating the current data collected through various surveys and getting supplemental data on how women travel in Los Angeles County. It will help Metro understand different mobility needs for men and women; when we start to disaggregate transportation data by gender, we will be able to see different patterns on how women move and use our system. Goal: The goal of this initiative of gathering & analyzing gender-disaggregated data is to have access to Metro/Los Angeles County-specific research and data that really reflects how women travel to make informed decisions and ensure that applicable departments at Metro are utilizing gender specific data to implement service changes and improvements. This will result in better information for the Next Gen Study and Long-Range Transportation Plan and will lead to better, more effective and more integrated solutions to address the mobility needs of current and potential female riders. Target May 2019 – Study completion. Background: In the 2017 employee satisfaction survey, 38% of women as opposed to 45% of men agreed with the statement "If I contribute to Metro's success, I know I will be recognized." 63% of women, as opposed to 69% of men agreed with the statement: "I see professional growth and career development opportunities for myself at Metro." A powerful sign that Metro is an inclusive place to work is when women can look around and see themselves succeeding. 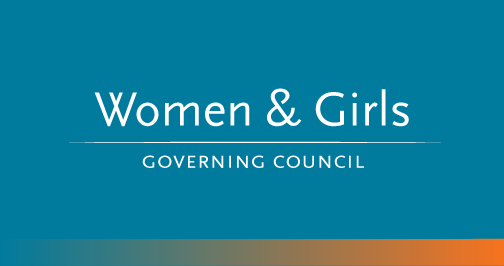 Recommendation: This initiative publicizes on the Metro intranet the promotions of women at Metro on a weekly basis on the WGGC webpage to recognize their achievement and personal growth. The recognition of the promotions also has a positive impact on other female employees as they will see that Metro promotes from within and there are numerous career paths and opportunities for advancement. Goal: The goal of this initiative is to help promote career pathway identification, improve leadership perceptions and provide opportunities for informal mentorships.
" …thank you for recognizing me for my hard work and career path here at Metro.." L. W, Rail Ops. Background: Metro is looking at several initiatives to eliminate any barriers women may encounter as they seek to advance or start their career at Metro. Through proactive attention and actions Metro is ensuring women have opportunities to obtain higher paying jobs/career paths. 60% of Metro job classifications fall under the Service Maintenance job category. Service Attendants is the second largest job classification in this job category. At the time of the recommendation it was discovered that of the 558 employees in this category, only 105 or 19% were female. Recommendation: Service Attendant is considered a highly desirable entry-level position that is the first step in the career pathway in the Maintenance Department. While Metro is studying and will be updating all job descriptions, WGGC recommended that the Service Attendant job description be reexamined as it revealed a considerable gender inequality. The recommendation requested that the Service Attendant job specifications, minimum qualifications, test and interview questions be reexamined and updated to remove any barriers that would prevent women from applying and qualifying for the position. Goal: Change the way the position is described, screened, tested and interviewed in order to remove implicit gender bias. Ensuring women have opportunities to obtain higher paying jobs/career paths in the Maintenance Department. July 2018 – Job Description, Test Questions, & Interview Questions revised to remove gender bias. The number of women who applied also increased as well. We saw a 93% increase from the last recruitment in the number of female applicants as a result of revising the job description. As a result of revising the test, we saw a 204% increase in the number of women that passed the exam. And as a result of revising the interview questions and requiring a 3 person interview panel instead of one person panel 30% increase in women getting thru. 20 women have been hired (phase 1 of this recruitment) - compared to 1, 5 and 2 in the last three recruitments. This is a 1900% increase from the last round where only 1 woman was hired. During this process we found that there were more unintended barriers towards women within the job description than just weight requirements. The core function of this position is to service and clean bus and rail vehicles. During the examination of the job description with Human Capital & Development (HCD) and Operations staff we found that the job description, minimum qualifications, exam questions and interview questions focused primarily on recruiting applicants with vehicle mechanic experience instead of cleanliness of the bus and rail vehicles. Over 1,700 applications were received (When), so only the first 500 applications received were invited to proceed with the recruitment as outlined in the job bulletin. The data for this recruitment is only reflective of the first 250 applicants that were invited to proceed with the recruitment process to date, the other 250 will remain in a pool until the current pool is exhausted With the change to minimum qualifications a high majority of applicants are proceeding to the exam compared to past recruitments. We will closely follow this recruitment and analyze the retention rate compared to previous years. Planning is ongoing for the Girls Empowerment Summit in partnership with LA County Women and Girls Initiative. ​ Background: In Los Angeles County, about 51% of the population are women and over 1 million of the households in California are headed by women. A third of these households are single mothers. Based on the current income statistics for Los Angeles County, about 18% of women are living in poverty. Of the percentage of women living in poverty, 31% are currently employed. This shows the dire need to close the wage gap for women and to provide job opportunities for women that could sustain a household above the poverty level. Metro is transforming LA County and, with Measure M, Metro will need to fill positions both within Metro and outside Metro. It is estimated through Measure M we will be adding more than 700,000 jobs throughout LA County. We will need a world class workforce to deliver the projects and programs specifically in areas related to construction, including engineers, bus and rail operators, supervisors, managers, architects, planners, and other professional staff. Recommendation: With these projects underway, it is vital that women and girls are informed of the quality careers in the transportation industry. The recommendation is to host a 1 day Girls Empowerment Summit that will help close the disparity between males and females by providing information to girls and emphasizing that they can choose a career pathway that is typically "non-traditional" for women. Goal: Increase career awareness among girls, ages 14-18. Status: Planning is ongoing for the Summit, scheduled for March 29, 2019. Metro will be partnering with LA County Women and Girls Initiative and the LA Promise fund as well as the private sector. Background: Blind screening is used to overcome unconscious bias and promote diversity in the workforce. Anonymous or blind processes for reviewing applicant resumes is a strategy to reduce implicit bias within selection processes. This implicit bias can be related to characteristics such as gender or racial/ethnic background. Although this approach does not completely eliminate bias in hiring, evaluating resumes anonymously can play an important role in reducing the possibility for implicit bias in candidate selection and aid Metro in recruiting diverse talent. Recommendation: Blind recruitment is a method to remove "criteria that could unintentionally bias managers and give underrepresented groups confidence that their application will be fairly considered. It is not just about hiding a candidate's name, it is also about anonymizing anything not relevant to the stage of the selection process -- this includes address, email, educational institution, gender, and ethnicity. Goal: The goal of this six-month pilot initiative is to reduce/ prevent the incidence of implicit bias in the initial screening process and consider applications solely based on merit thereby removing implicit gender bias at the first stage of the hiring process. Findings are limited and to obtain a complete analysis of the long-term benefits of this initiative we are extending the pilot for another six months, with the concurrence of the CEO. Background: Metro employs more than 10,800 employees. 29% are female employees. Since FY 2000, the ratio of female to male employees in the workforce makeup has stayed in the 29% range for 17 years and there has been no significant change in the recruitment and retention of female employees. Recommendation: Metro should strive to be an employer of choice for current talent, new talent, veteran women, women reentering the workforce, and new college graduates. Through innovative and creative messaging, we can position Metro to be the employer of choice. We want to transform the "job search" experience and create an information gateway on what it is like to work at Metro. Metro receives on avg. over 160,000 monthly visits to its job-related webpages -- that is almost 2 million first and last impressions of Metro as an employer every year. Through our career webpage we can create an experience for candidates that feels genuine and connects to candidates on an emotional level. Showcasing Metro's vision and employee initiatives we can develop a strong employer brand. Goal: Through this initiative we want job seekers and current employees to know that Metro is making the investment in them and their career success is a priority. Increase the gender workforce ratio by attracting, retaining and advancing women at Metro. Status : Working closely with HCD and Marketing to implement changes to career webpage. Target December 2018 -Career Webpage completion December 2018. Background: Customers have a few options for reporting sexual harassment experienced on the Metro system i.e., Customer Care, Law Enforcement, 24/7 hotline staffed by counselors from the community advocacy organization Peace Over Violence (POV), Bus & Rail Operators or via emergency call box. Currently, there is no Standard Operating Procedures (SOP) in place to track number of harassment complaints filed with Bus & Rail Operators or via emergency call boxes unless a crime is in progress and the law enforcement is dispatched. It was identified that there is a gap between on-board passenger survey results on sexual misconduct and reports filed with Metro. During our most recent Spring 2018 (Jan.-Aug.) On Board passenger survey, 29% of Rail passengers and 23% bus passengers indicated they experienced sexual misconduct, yet only 9 reports were filed with law enforcement, 11 reports were received by our customer care department and on average Peace Over Violence received 50 calls per month. Recommendation: Implement an effective reporting, reviewing and responding process and the creation of a new Bystander Program. Also encourage our Congressional Delegation to support HR 5857 (DeFazio). Goal: The goal of these initiatives is to reduce/prevent sexual harassment. The Council researched other sexual harassment prevention strategies and recommended Metro create a Bystander Program with the objective to overcome people's natural resistance to help strangers in distress and create a culture where all riders play a role in preventing sexual harassment on our system. Status: October 2018 – The Metro Board first had to formally endorse HR 5857 since the current Board adopted federal legislative plan does not include a provision for supporting this type of initiative. Now that the Board has adopted a position, staff send correspondence to our Congressional Delegation requesting support of the legislation. Target November 2018 - WGGC is working closely with System, Safety and Law Enforcement, Marketing and Operations to develop an implementation plan. Background: Women are the majority population in Los Angeles County, but their presence within the construction industry is not reflective of it. Women represent only 7% in the construction industry. With the passage of Measure M, Metro will be generating and putting into the local economy billions of dollars with these new mega projects – and we want to see that the jobs created with these dollars are filled by both the men and women of LA County. CMSS consultant selection is a qualifications-based procurement process. Metro issues a Request for Proposal (RFP) defining the services to be provided. Among other requirements, our CMSS contracts list in the Scope of Work a menu of 50+ job descriptions for various positions the CMSS consultant may be asked to fill. Interested consultant teams prepare a Statement of Qualifications (SOQ) describing their experience as it relates to the RFP. Metro makes its evaluation and selection based on the SOQs and responses to interview questions; however, because of Proposition 209, Metro is prohibited from establishing gender-based goals or selection criteria. Once a CMSS firm is selected, the Metro Construction Manager will request resumes from the CMSS consultant and select individuals to fill the various openings to supplement Metro staff. There is currently no requirement for diversity when selecting the consultant workforce that will be placed at the project site. For each of our mega projects, as they proceed to the construction phase Metro forms a team comprised of Metro employees and CMSS consultants to augment Metro staff and perform required construction management functions over the life of the project. We surveyed the 3 most advanced of the on-going mega projects – Crenshaw, Regional Connector, and Purple Line 1 – analyzing their most recently published organization structures. Recommendation: Baseline and Monitor CMSS Utilization of Women. CMSS consultant teams will be required to prepare a Work Force Analysis chart during the selection process. This chart allows Metro to baseline and track consultants' utilization and promotion of women across various job classifications and levels of authority within their organizations. The chart will be updated and resubmitted July 1 of each year following award of the CMSS contract. CMSS Apprentice Positions: Based on the research it is also recommended that we require CMSS consultants to place at least 1 Construction Inspector Apprentice on each project. The Construction Inspector Apprentice job title and duty description will be included in the menu of job descriptions currently listed in the CMSS scope of work. We must create opportunities for women to learn about these positions through industry discussions, learning forums, and career fairs focused on women and girls. We want to introduce them to women already in the industry, and get them excited about new possibilities that they may have never considered otherwise. Goal: The goal of these initiatives is to increase the number of women in construction management positions. Status: November 2018 - WGGC is working closely with Vendor Contract Management to develop an implementation plan.